The story of Adam and Eve is revealed including: Saten's tempting of Eve in the Garden of Eden. Other stories include, the Tower of Babel, and a new version of the creation of Zen Buddhism by Bodhidharma -- with Saten alongside. Chinese teenage heroes, a British Freemason, and an invading army of Japanese infantry. 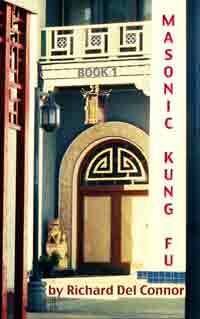 Based upon true incidents and the Masonic Kung Fu dance discovered by Richard Del Connor on June 9, 2009 after he became a 3rd Degree Master Mason. 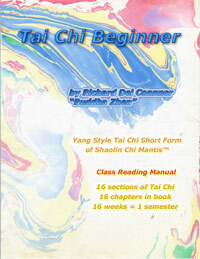 Now, after using this book, Tai Chi Beginner, in over 100 classes and testing it on more than 1,000 students with required class reading sessions of the entire book -- we bring you the Tai Chi Beginner - CLASS READING MANUAL. This is the book to transform your life from being whoever and whatever you are into a Kung Fu HERO. 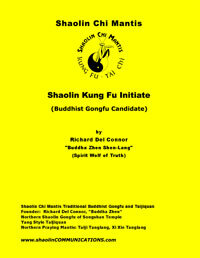 Shaolin Chi Mantis is a school for creating Kung Fu heroes in the ancient traditions of the original ZEN BUDDHIST WARRIORS of the Shaolin Temple. 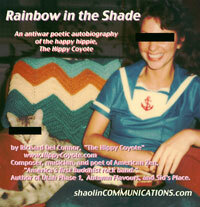 This is Coyote's FIRST EPIC POEM. 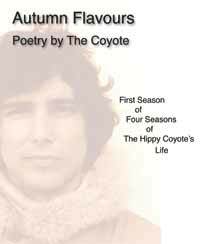 Since 1964, Coyote wrote poems and lyrics that strived for brevity and symbolism using as few words as possible and taking up as little space on the paper as possible. 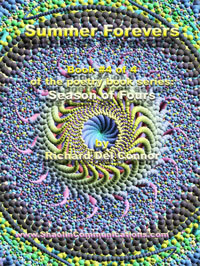 This poem, "RAINBOW IN THE SHADE," is Coyote's first poem that exceeds 10,000 words, qualifying it as both a one-poem book, and an EPIC POEM in the tradition of Lord Byron, Wordsworth, and John Milton. Publishers decided that Coyote's wild theories would "shake up the fabric of human civilization and lead to ultimate chaos." Wow. Appears the Vatican is still controlling the world's science. 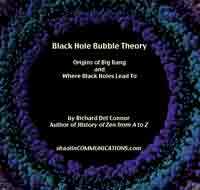 So now, for the first time anywhere or anytime in human history, these theories are revealed to the public. Michael J. Fox enjoyed it so much he became a supporter of the show and performed on stage with Coyote. 40 years of love affairs in lyrics and music. 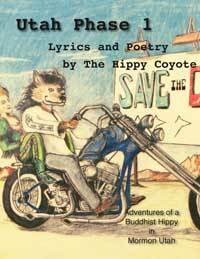 Handwritten ROUGH DRAFT of book created by The Hippy Coyote to plan album songs of LEVEL 4 = KUNG FU COWBOY. There were 36 songs on the album when Coyote was done composing and using songs from the past, so, we created the DOUBLE ALBUM. 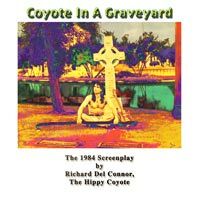 The double album became a 4-album journey as Coyote realized this gave him a chance to release a BLUES RECORD. 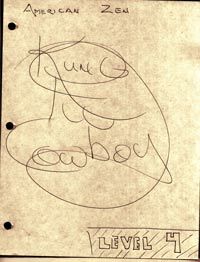 Read the book that was the original blueprint for the LEVEL 4 = KUNG FU COWBOY albums. 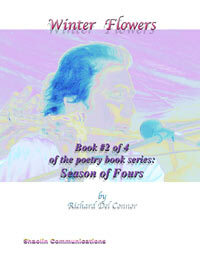 Coyote's handwritten poetry and readable scribbles provide a unique view of Coyote's unique view of reality. LEVEL 4 is a level of Kung Fu and enjoying life to its fullest. Good health, good thinking, good actions, and good intentions lead to a unique section of the path to LEVEL 8 of Zen Buddhism. 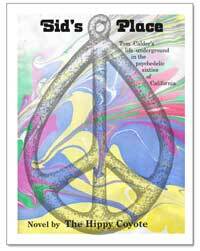 Novel by The Hippy Coyote about drug runners and revolutionaries in 1969. 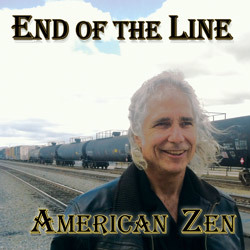 Poetry book contains the lyrics and lead sheets used by American Zen for recording their first two albums. 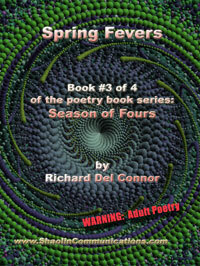 Also includes poems and lyrics not found on either album, LEVEL 1 = PEACE OF MIND, or LEVEL 2 = CHRIST KILLER. 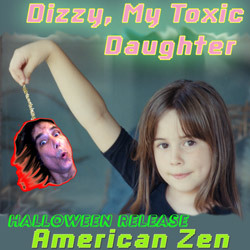 A collector's item for all American Zen fans. See what it was like for Coyote to battle the Mormons finally return to California with his tail between his legs. At age 30, Richard Del Connor, The Hippy Coyote, (known as "Buddha Zhen" since 2007), pieces together his biblical role models, Robin Hood, and James Bond 007, to become "Richard O'Connor." 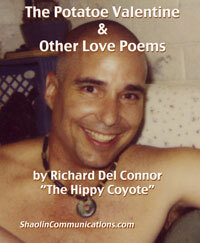 First poetry book written by The Hippy Coyote of American Zen. One of 4 books. This is Coyote's earliest poetry. 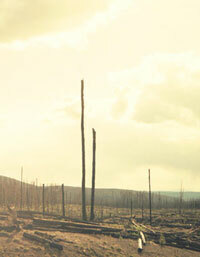 Some dark and moody poems with bizarre themes ranging from cannibalism to devil worship. Coyote dated a witch in the early seventies who really messed with his head "Her brother was a Carpenter Apprentice in my Union Brotherhood classes. He strongly warned me not to date her."